Today was another short day. I spent about 3.5 hours (here and there) deburring all of the holes in the HS skeleton and then dimpling any holes that needed it (skin to rib holes). I’m using Avery’s tank dimple dies for any dimples recieving other dimples (ribs only, which recieve the skin dimples) at the reccommendation of some other builders (namely Brad Oliver’s post). The resulting dimples look great so far. Sorry about the lack of pictures; edge finishing is not exciting. These are just the right side HS ribs, but I did the left side, too. And all of the spars. 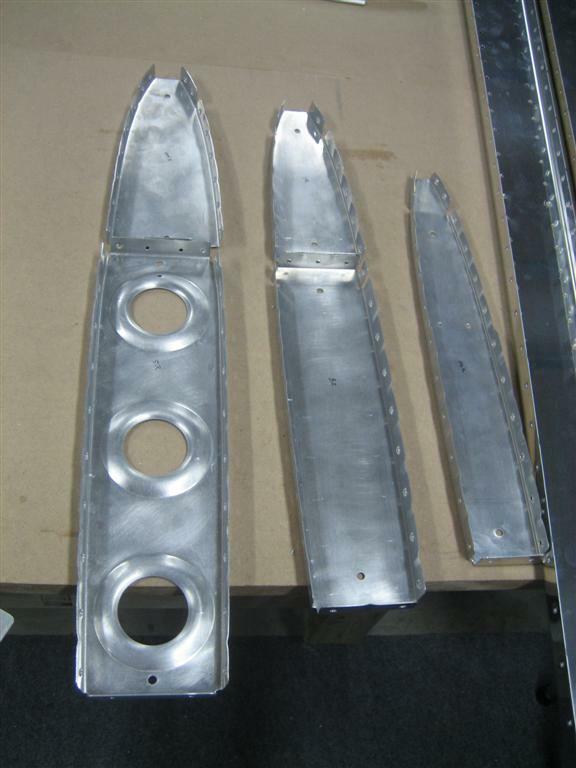 I also managed to edge and surface prep the left hand skeleton and one of the HS-609PPs. Coming up next: more edge finishing and prep for priming, plus skin deburring and dimpling. I might finish up the left side stuff (since I can prime pretty quickly) and do a little riveting tonight. Or, wait and do the whole HS together. I haven’t decided yet. In the least, I need to clean up a little. There is aluminum everywhere. This entry was posted on Sunday, January 3rd, 2010 at 4:09 pm and is filed under Empennage. You can follow any responses to this entry through the RSS 2.0 feed. You can leave a response, or trackback from your own site.